Avoid airborne asbestos contamination with expert asbestos duct removal in Palos Verdes CA. If you had to pick the single worst part of a building to have asbestos contamination, it would have to be the ductwork. As soon as asbestos fibers break loose inside the ducts, they will instantly begin traveling throughout your property and can contaminate many rooms via the air registers. If you have a problem with asbestos-containing materials in your ducts, you must call in a professional like AQHI Inc. for asbestos duct removal in Palos Verdes CA. 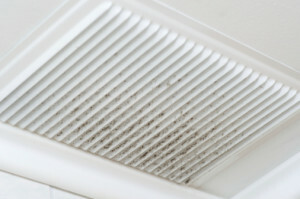 …Why Can’t My HVAC Contractor Provide Asbestos Duct Removal in Palos Verdes CA? Without the right safety gear, workers could inhale asbestos dust or carry it home on their clothes. Failure to properly seal off and ventilate the area could result in asbestos dust traveling all over your property during removal. Asbestos waste could end up in a general landfill instead of a designated facility, contaminating the environment. Are you worried about asbestos in or around your ducts leading to contamination and health risks? Why live with this worry? Just call AQHI Inc. at 800-481-8080 for fast and effective asbestos duct removal in Palos Verdes CA can get the problem taken care of once and for all. Our asbestos removal office for Asbestos Duct Removal in Palos Verdes CA is open Monday through Friday between 8:00 AM and 5:00 PM and closed for lunch from noon to 1:00 PM. With advance notice, projects can be scheduled for weekends, early mornings and evenings.